I went to the coolest job interview there ever was in all the land on Saturday. 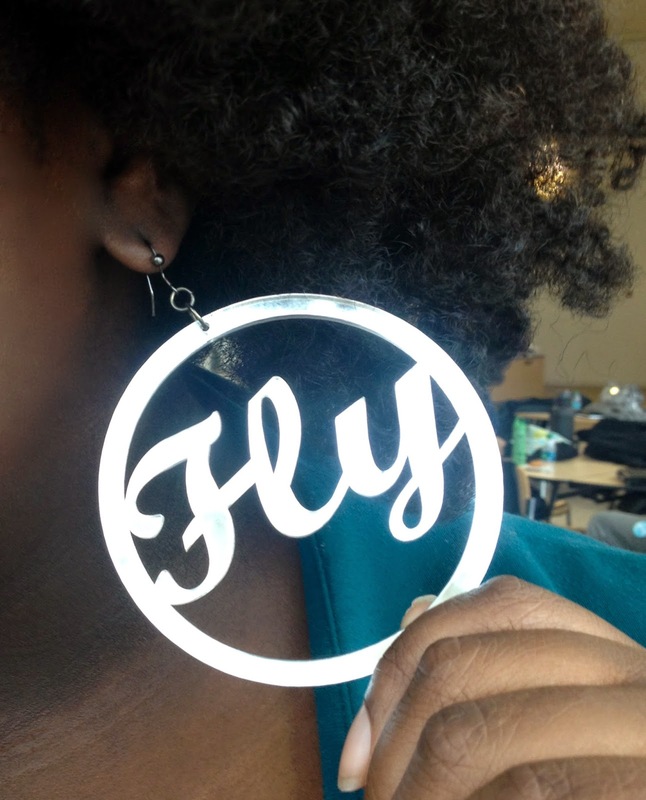 Not sure if I got the job, but I am sure my life has changed for the better because of that interview and I now know what it means to be fly. The email I got earlier in the week informing me I had made the cut, said that the dress code was "to be fly." I loved that so much, and was terrified at the same time. Reading it instantly made me feel old, I wasn't sure if it was possible to be 40 and fly. I mean in general, I feel a little insecure about trying to get a job after being out of the scene formally for just about a decade. I am feeling all sorts of inadequate and like I'm too wrinkly to feel so nervous and unsure about myself. I mean I am sure of myself in so many ways, but resumes and references and "job experience" are not those ways. I am sure of myself when it comes to adventure and being open and embracing the unknown and finding the story in all of it. So, I went and I tried to be fly. Even though I cried a little bit the night before and thought about not going, I got up put on my most fly outfit I had and went to the interview. Because any job interview that has a dress code of "to be fly" and is an all-day event with it's own app probably has a few good stories in it. 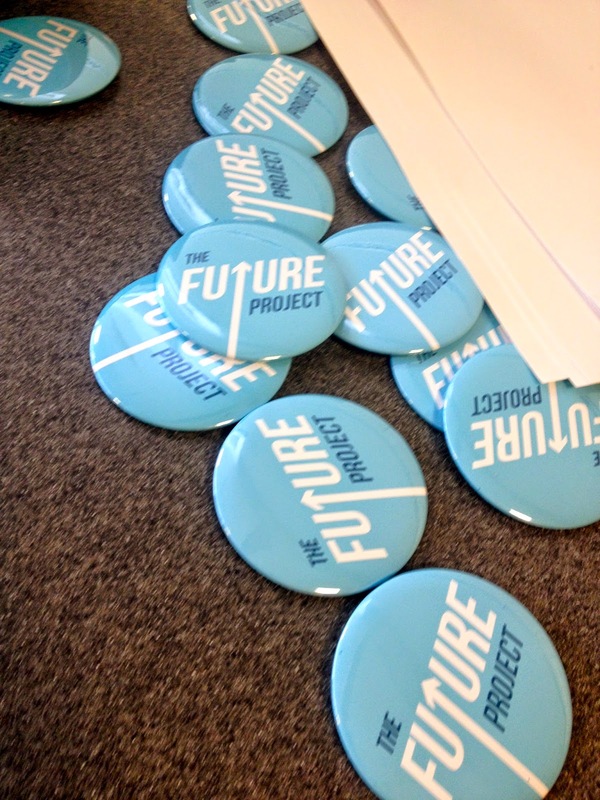 The job interview was with an organization called The Future Project. The job title I was going for is Dream Director. According to their web site that I FELL IN LOVE WITH!! 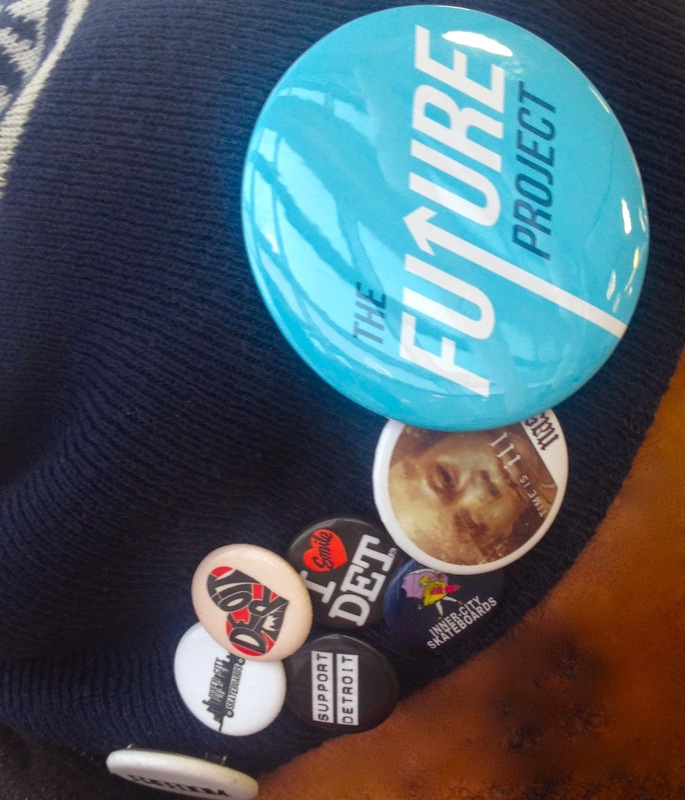 !, The Future Project is "a national inniative of transformational leaders" called Dream Directors who are out to "transform schools to be the most inspired places on Earth." The dream directors help students figure out the how-tos of getting their dreams done. On interview day, I walked into a high school in Detroit and it was full of people. All kinds of people--men, women, short, tall, black, white. Some were definitely more fly and most were younger than me. Instead of feeling upset however I felt excited. I wanted to meet these people, hear their stories, their passions, their dreams. 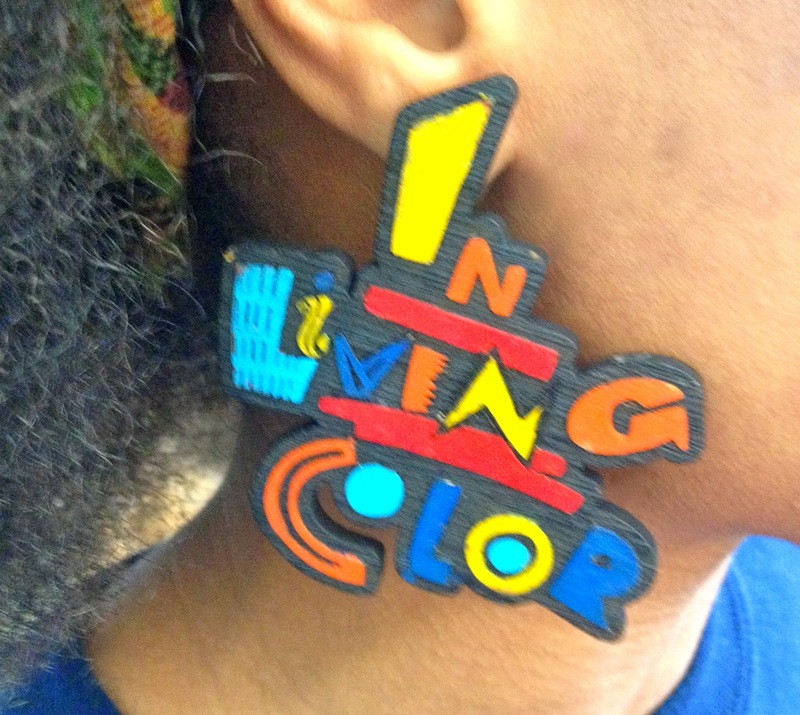 Best earrings ever, right? I sing the show's theme song to my kids probably once a week. Love it. These people were dreamers, and doers and activists and poets and mentors and artists. All of us were a little unsure about what was going to happen at the day-long event, but everyone I talked to was all "bring it on" and ready. 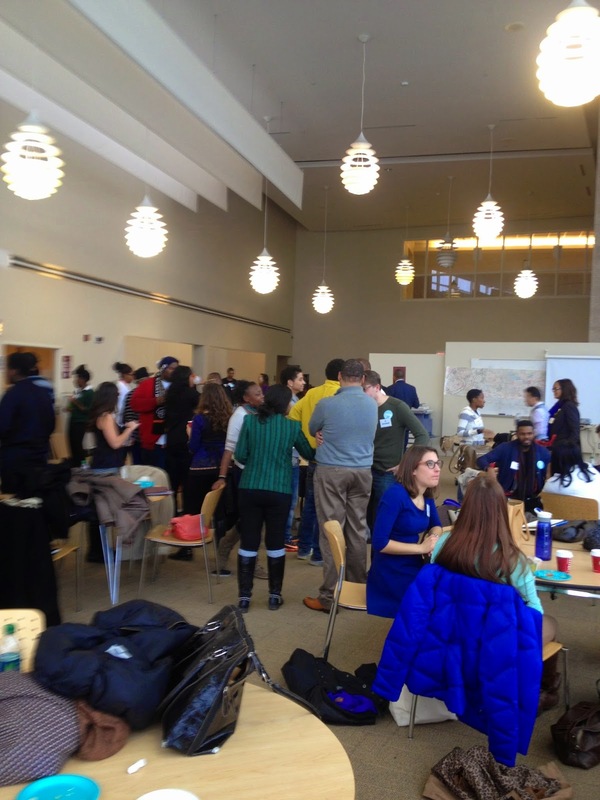 The day involved small group sessions with The Future Project staff members and the founders and students from Detroit high schools. There were questions about dreams and passions and life stories. A lot of how's and why's and what would you do if's. There was a "speed dating" exercise with more questions. There was a lunch break and a group project that we had to present to everyone at the end of the day. There was dancing and rapping and cheering and clapping. There was a moment of silence for a student from our our host high school who had recently committed suicide, we stood in a giant circle all holding hands. There was inspiration and motivation and most of all such amazing connection. Do I hope I get the job? You bet I do. But I also hope Brandis gets it and Jake and Misou too. They were my small group partners and I love them even though I just met them. We sat together and told our stories and talked about our dreams and how we want to help others achieve their dreams. I feel like I know more about them than people that have been in my life for years. And through knowing them and connecting with them, I am rooting for them and believing in them. I want to have a reunion with my team. I want to know what happens next for them. That's kind of the whole point of The Future Project and why even if they don't hire me, I will keep in touch with them and talk about them and let everyone that I know discover them. Art, dreams, community, sharing our stories, sharing our dreams and connecting...it's so fly. I get it now. Being fly is being authentic and being unafraid to connect and dream and go for it, no matter how old you are. You must watch this for more information about The Future Project. Andrew Mangino Ashoka 1920x1080 fullres from The Future Project on Vimeo. That is amazing. AMAZING. I would be terrified but YOU are made for this. I am so thrilled for you. I'm with Greta, this kind of thing, while SO inspiring, is not my jam. I'm not as fly and sure of myself as you are. But it has YOU written all over it. This is possibly the dopest thing I've read in quite awhile. Sounds like an amazing group of people that you got to spend the day with. Something tells me that even if you don't get the job, Saturday was a win and probably not the last time you will encounter some of those people. This job..is you. A Dream catcher, weaver, implementer. Your smile tells the whole story. I am crossing my fingers for you and your enormous heart. You ARE this job. My fingers are crossed that it works out for you, but I love that you feel changed by it, no matter what happens. What an amazing experience and job. I do hope they recognize that YOU are perfect for this. Wow - sounds inspiring and exciting. Good luck!